Clairol is a personal care products division of Procter & Gamble. The Clairol company was started in 1931 by Lawrence M. Gelb and wife, Joan, who named their enterprise after a hair-coloring preparation they found while traveling in France. In the 1950s, after two decades of selling the company’s hair tint to beauty salons, Clairol became a household name when it launched the first one-step home hair color formula, Miss Clairol Hair Color Bath, which debuted with the now-famous catchphrase, “Does she…or doesn’t she? Only her hairdresser knows for sure.” Within six years of Miss Clairol’s launch, 70% of women were coloring their hair. Maxwell House is a brand of coffee manufactured by a like-named division of Kraft Foods. Introduced in 1892, it is named in honor of the Maxwell House Hotel in Nashville, Tennessee. For many years until the late 1980s it was the largest-selling coffee in the U.S. and is currently (ca. 2007) second behind Folgers, which is manufactured by The J.M. Smucker Co. The company recently unveiled a new slogan, “Good Just Got Great,” visible on their website. However, it is best known for its longtime slogan, “Good to the last drop,” and is still running ads featuring the line. 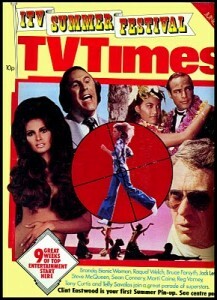 With advertising using the phrase “exceedingly good cakes”, and television commercials which originally featured the voice of actor James Hayter, the brand had become the market leader in the UK by 1976, a position it still holds over thirty years later. Varieties of single-serving and individually wrapped cakes have also been marketed. 1979 Dreft Washing Powder commercial. Dreft is a popular laundry detergent in the United States, Canada, United Kingdom, the Netherlands and other markets. First produced by Procter & Gamble in 1933, it was one of the earliest synthetic detergents. Upon its inception, Dreft was touted as a significant improvement over the soap suds of the day, but it proved best at treating only lightly soiled clothes and not heavy loads. As Dreft does not leave a lime scum deposit nor does it contain harsh chemicals such as bleach, it is suitable for fine washables such as silk or wool as well as flame resistant fabrics. 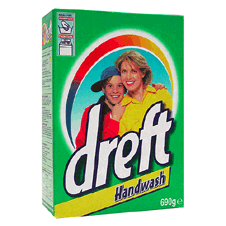 The Fairy brand of washing-up liquid is also sold under the name Dreft in some countries.